Look Great for The Summer! It’s a must to have daily regime of CTM i.e. cleaning, toning & moisturizing. Exfoliate at least once a week & always remember exfoliate longer but not harder. Prep for sleep: Always keep lip balm, foot cream & nail cuticle oil besides your bed and make a habit of using them each night. Eat your water: Grapefruit and cucumber have almost 96% of water. When you have at least 3 serving per day they actually penetrate and plump up your skin cells faster than water. Hydration is very important for any skin type, so include hydrating serum or gel as per your skin’s need. 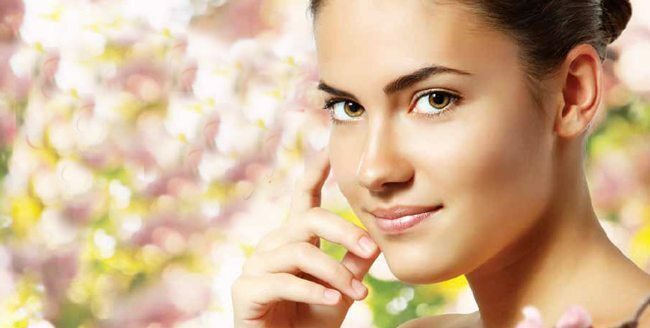 Once a month a facial is a must for everyone above 25 years & a cleanup for those above 13-14 years of age. Conditioners are supposed to be used on the hair shaft and not the scalp. The last rinse must be with cold water, as that instantly seals your hair cuticles, making them softer. Hydrate in sleep: Apply a moisturising hair cream with shea butter on scalp night before wash (that’s a Parisian remedy). Home remedy for shiny hair: L’Oreal nature series cocoa butter mask apply for half an hour on wet hair and rinse with coconut water and then with normal water. Once in 15 days you need to take an oil massage or hair spa in a salon to ensure de-stressing n relaxation. To make your foundation last, always use a primer. Precede this with moisturizer, and follow with foundation. When you do smoky eyes, begin with eye makeup followed by concealer and foundation so as to avoid the mess of dark shadows. Mascara has least shelf life and should be replaced every 3-4 months. When you are flaunting the lips, keep your eyes simple. Makeup is not just about the face. It also includes the neck area, under arms, arms and back. So exfoliate these areas regularly and use body shimmer. The beauty of a woman is in her hands and feet. So indulge in a manicure and pedicure regular; monthly at least. Once in a week apply a thick nourishing cream on hands and feet, wrap with cling film and keep for 1/2 hour. Petroleum jelly or baby diaper creams works best. Last but not the least, always carry the most important accessory and that’s your SMILE! Next articleAcute pain in the abdomen – Is it appendicitis?